Sierra Entertainment was once the very pinnacle of PC game publishers. From 1980 to 2008 the name of Sierra was attributed to a vast array of amazing titles that still resonate with us today. 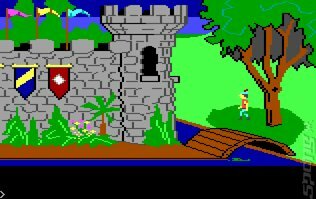 Games such as King's Quest, SWAT, Half-life, Counter-Strike and Homeworld all sprang from Sierra. But nothing is permanent in this world, least of all in the video game industry, so it came to pass that after a series of take-overs and acquisitions in the 2000's the name Sierra faded into memory until it was eventually closed down in 2008. At least that's what we thought. For on 8th August 2014 Activision, the owner of Sierra resurrected this fondly remembered label to make it a publisher of independently developed games. The first two games to be published by Sierra are Geometry Wars 3: Dimensions and King's Quest. Chris O'Regan of Spong.com and host of The Sausage Factory podcast spoke to Bob Loya at PAX Prime 2014. He is the senior director of external development at Activision and one of the key people who helped bring back the name Sierra into the video game industry. SPOnG: Sierra was a publisher of note and renown, what made Activision go back resurrect its name? Bob Loya (BL): I think it started with a group of us in Activision that are really passionate gamers. We're pretty nerdy, we like to play a lot of different type of games. We love Call of Duty, we love games that we make, which are still going to be the core of what Activision does. But we wanted to start making games that are like other people are making as well. This has been in the works for quite a while now, we're talking 7-8 years. I think what really helped us move this forward was just the explosion of the digital distribution business. Steam has been doing a good job for a while on the PC where 6-7 years ago there was the 'PC is dead' argument going on and it had some weight was at the time it was all retail based. SPOnG: So there was this kernel of an idea grew over a long period within Activision? BL: Yes it slowly grew. Once we had the distribution mechanism we could build a financial case that demonstrated that we could make some really awesome products, smaller in scope and investments. We could then start getting some return on that investment by bringing in some really interesting developers with some really interesting IP. That whole idea was part of the genesis of Sierra. This is something we could take to the executives and say 'Look, we really want to do this, it would be cool and awesome to do and everybody knows it would be and we are also going to make money and make business out of it'. SPOnG: So it was built on the concept of lower risk and a return? BL: There is some risk, but there is a huge potential to grow this business. Games are diversifying so much along with the community that surrounds it. You're always going to have your big AAA titles such as Destiny and Battlefield all of that stuff. But then, just look at PAX; there are so many great games here and so many people getting excited about these games. Now we have a way to be able to talk to them through these digital channels. We can then start to make games for this type of consumer. We can be very diverse with the types of games that we're making and the types of developer that we're working with. The fact is there are very few developers out there that can make a Destiny. So your hands are little tied when you're talking about these big huge AAA $1 Billion franchises, now we're talking about something very different that still has a great community and has a great following and that's something we can tap into. SPOnG: Has the rise and rise of crowd-funding helped fuel this new project of yours? BL: I think it's helped. I don't think it's been specifically for us as a huge focus or huge push. But I think anything that allows independent developers to create content and get it out to the community is good for all of us. The more games there are the better it is for everybody. The more good games there are the better it is for everybody. The more ways for people to digest content as they play games is better for the whole industry and the whole business. SPOnG: So is Activision acting as a traditional publisher with these smaller developers or are you offering more support than that? BL: Here's what I like to tell developers and everybody else and it applies across Activision in general. But for Sierra specifically; we don't make games, developers make games. What we're trying to do is to find really talented developers and that can be three guys in a garage for example. Or it could be a term taken from Ninja Theory that was said at a DICE conference: 'the bigger AAA independent studios'. So we are open to working with whoever; as long as they're a really talented team, they have some great ideas, some great cool technology and are passionate about the IP they are talking about. That IP can be Activision IP, Sierra era IP, old Infocom and Vivendi Universal, whatever we have in our back catalogue or even original IP. We are working with Platinum Games on The Legend of Korra game for example. We are just looking to find different ways to work with talented developers on properly scoped games that are polished, fun, high quality and wanting to get them out to the community in a meaningful way. SPOnG: It must be very exciting for you and your team to have this treasure trove of IP in front of you that you can dive into. Or is there some anxiety with that? BL: No it's exciting. I have very little anxiety about this. I think we're very cognisant of the fact that people are sceptical maybe about Activision coming in and using the Sierra brand and its label. We're fine with that and I think when people play Geometry Wars 3: Dimensions and when King's Quest appears next year and when we start to announce the other projects that we are working on I think people are going to be really excited about it. The proof is in the pudding, so long as our games are good, people will come around. So I'm not too worried about that. This is really exciting for us, but the challenging part is not to spread ourselves too thin and not to bite off more than we can chew. We really need to be thoughtful and disciplined about which projects we're taking on, how much bandwidth we have to really focus on the projects that we're doing because we need to add value to what the developers are doing. So we're going to start off kind of slow, we're not looking for 20 titles a year or anything like that. It's a little bit fluid, but we're just trying to be very thoughtful about the relationships we're getting into and the types of IP we're working on. SPOnG: Thinking about it, video game development has come full circle where small teams of people made games and publishers released them under licence. Do you think that's what happening again here with Sierra? BL: It's interesting but I really don't know. I can't tell you what's going to happen in six months as this industry keeps zigging and zagging. I would say this; with all the different types of platforms, mobile, digital, PC making the comeback that it has and console there are more ways for developers to get their content out. This just leads to more challenges now where how do you gain visibility? Steam is a great platform but it's tough sometimes to get that visibility that you need. We want Sierra to be a label and a brand where a partnership with developers and we can do the things that we do well. We're leveraging our relationships with distributors such as Valve, Microsoft and Sony. We also have production services such as localisation and user testing, things like that. We also have marketing and PR as well as a digital sales team that is 100% dedicated. All they do every day is digital sales and that's all of the Call of Duty and Blizzard stuff along with the Sierra titles. So there's a lot of things you can do there. It's not at launch either. It's post launch support and things like that. This is where we think we can add a lot of value to developers and let them focus on what they do well, which is make great games. SPOnG: Just going back to the Sierra thing and digging a bit deeper; is it primarily going to be old IP that the label will release? BL: I think we always want to be looking at our back catalogue and seeing what makes sense. So personally I would really like it if we always have one or two of our back catalogue IPs in development at any one time. I don't see us coming out with four or five games a year, it really doesn't make sense. We really need to look at IP and we're looking at a game where we can take it from where it was and intelligently make a really fun experience for the next generation of platforms or this generation of gamers based on the style of games we have now. 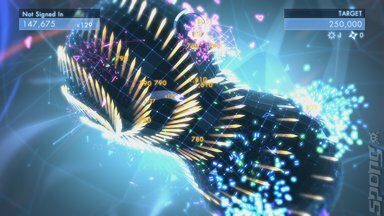 I think we are beginning to see that with Geometry Wars 3: Dimensions. Just the whole aspect of the 3D element was added while we discussed the whole concept of Geometry Wars. 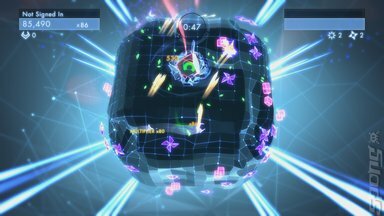 What could we do to really take Geometry Wars to the next level of gaming and 3D kept on coming up. It wasn't something that we visualised at first, until we got our hands on the prototype and we were like holy sh*t this is really awesome. We get it now, this is going to add so many different elements of game play and things that we can do. So that's what we're really looking for; we're trying to be really innovative where we can when we are looking at old IP. We are willing to push the limits and that's what old Sierra used to be. Sierra was a pioneer in the old days so we're looking back and trying to take what they were successful at and trying to do it again. SPOnG: There are some aspects of retro gaming that really should remain in the past. How are you going to filter that with forthcoming titles that are going to be published by Sierra? BL: I really don't know the answer to that. We take everything on a case by case basis. We take every game and every experience for what it is. So we are going to let our developers iterate and experiment and try to figure out what's fun. If that means staying true and 'retro' and that's fun and that's what the consumer wants then that's awesome. There are a lot of retro games out there that are really cool, really fun and doing really well. So it's really about staying true to the IP and that the game is really fun.